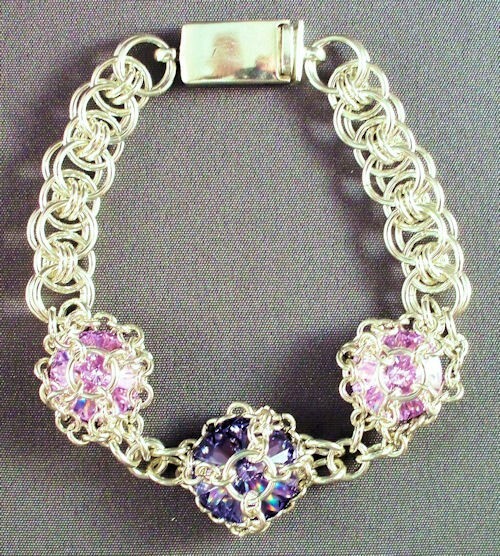 The Triple Rivoli in Maille Bracelet is an expanded version of the Rivoli in Maille bracelet. This version adds two more crystals to the bracelet. These crystals are caged by a network of small rings. This is an advanced beginner weave. The clasp is not included in the kit.